Is Israel in Putin’s sights, as its air force chief is cross-examined in Moscow? Maj. Gen. Amikam Nurkin, Israel’s Air Force chief, endured hour after hour of quizzing in Moscow Thursday, Sept. 20 about the Russian plane shot down by Syria on Monday. At home, Israeli officials and army chiefs made an effort to cool the crisis which sprang up in Russian-Israeli relations over the incident. In Moscow, the Israeli officers produced electronic and other evidence showing Syrian air defense missile fire to be haphazard and unfocused. “It’s a wonder that the Syrians have not accidentally shot down other airplanes before,” they said. One of the key points which emerged was that Syria teams habitually let loose with their anti-air missiles against any incoming missiles, whether or not they are airborne – even if they are ground-to-ground or ship-to-shore weapons. However, how Syria conducts its air defenses has nothing to do with Israel. DEBKAfile’s sources report that the Israeli officers answered the endless Russian interrogation professionally and to the point, although the interviews went on all day and appear to be continuing into the night. The Israeli officers had the unpleasant sense of being put on the carpet and expected to provide answers on the spot. The decision to send an Israel officer to Moscow with the high rank of the air force chief has therefore been widely criticized in many circles in Israel. A full picture of the Israeli delegation’s experience will be available only when they return home and Gen. Nurkin reports to the Prime Minister and Chief of Staff. Even then, there will be gaps in his impressions of the next turn in the crisis that was triggered by the Syrian downing of the Russian reconnaissance plane. Kremlin policy in military affairs and relations with Israel are not up to the Russian air force chief, but the personal province of President Vladimir Putin, and he will soon indicate which way the wind is blowing from Moscow to Jerusalem. Israel hopes the unpleasantness will soon blow over and relations will return to normal. 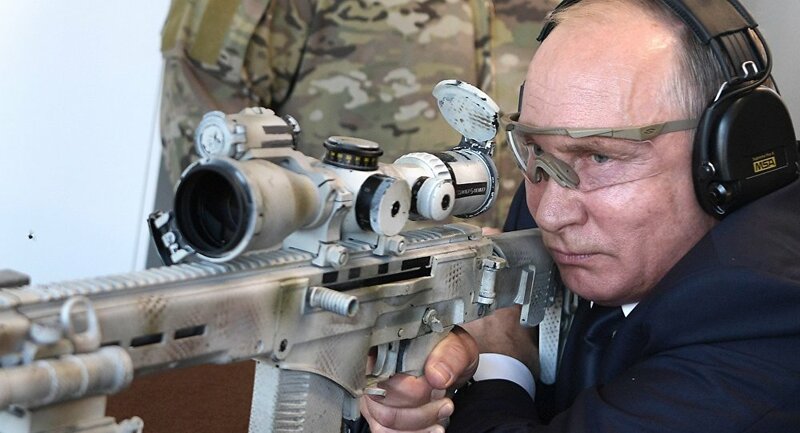 But it is certainly realized that Putin is an exceptionally cool pragmatist, and if he decides it is in his interest to level his aim against Israel, he will not hesitate to do so. To block Israel’s continued aerial attacks on Iranian targets in Syria. or perhaps curtail them. This response would win him points in Tehran. Or to allow Israel to continue to clobber Iranian targets to ward off the risk of rousing President Donald Trump to action in support of his Israeli ally; and his responses are hard to predict. In this regard, the US administration announced on Thursday that Trump would be meeting Prime Minister Binyamin Netanyahu next week in New York. The announcement was released in Washington at the moment that the Israeli delegation was still locked in tough interviews with Russian officers in Moscow.